China Standard Press, 2016-04-01. paperback. New. Ship out in 2 business day, And Fast shipping, Free Tracking number will be provided after the shipment.Paperback. Pub Date: 2016-04-01 Pages: 914 Language: Chinese Publisher: China Standard Press. 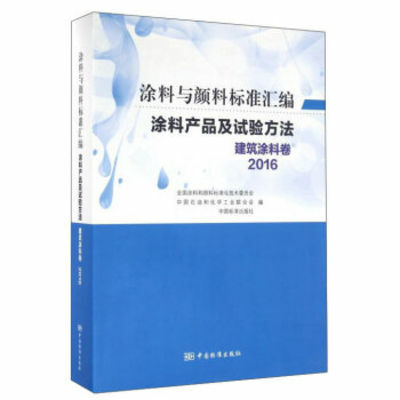 Standard Test Method for coating products and architectural coatings 2016 volume. a book collection of national and industry standards as of the end of December 2015 approved the release of standard 81. Where 46 national standards. industry-standard 35. Satisfaction guaranteed,or money back.